Clearing out a house can be a very trying experience. Most people who have moved house will confirm that it is one of the most stressful events of their life, and not just because they are waiting for other people to complete their own house move, or because they need to sign legal documents. In fact, one of the biggest areas of stress during a house move is taking everything out of the property. From articles in the garden to stuff in the attic, it all has to be taken away. If you have never done anything like this before, it can be very difficult to manage for those without experience, but if you need to clear a house for any reason, then you can learn from other’s knowledge and follow a few simple tips that will help you to do the work with less stress. Don’t leave the house clearance to the last minute. You will have to leave items in the house until you can move into another property, but that doesn’t mean that you can’t start on the process before anything is agreed. Start by making lists of everything that is in each room, and planning what items will go into your new home. You may decide that you want to throw away that old bed with the broken frame, or get rid of the 20-year-old sofa. Start clearing out rubbish from external areas such as sheds and outhouses, and bring down all the items from the attic. Tidy up areas so that all extraneous junk is removed. You might have to start the clearance months in advance in order to tidy every area of the property. A lot of junk is kept in the house due to sentimental reasons, or because it gets put away for a moment and forgotten. You may not realise just how much junk you have accumulated, and you won’t be able to take all of it with you unless you are moving to a mansion. A house clearance is the perfect time to get rid of those items which have been taking up space for years. You may need to be ruthless, throwing out things which are no longer going to be used, or which won’t have a place in your new home. Put aside everything which is destined for the local tip. House clearance is hard for those who have never done anything like it before, but it can be very easy for professionals. 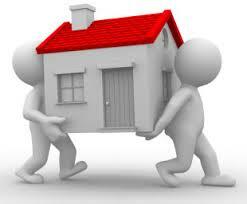 If you want to make your clearance a more pleasant experience, then you should rely on house clearance professionals. Not only will they help you to take things out of your property, but they can also offer rubbish removal services which can get rid of the things you don’t want. If you live in the area of Reading, Wokingham, Newbury, Henley, Maidenhead, Bracknell and surroundings, you can get assistance with your house clearance from a professional rubbish removal team.